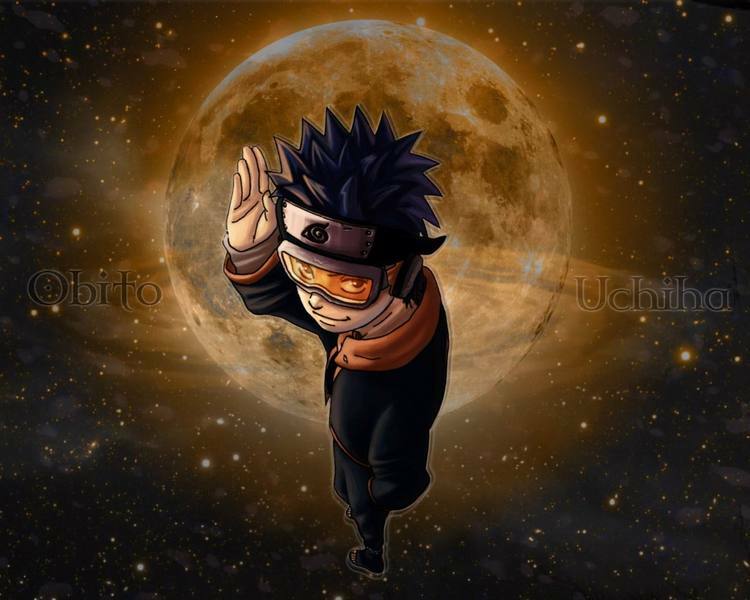 Live in the world of naruto. Create the your own unique shinobi. "I had my brother and sister... And I had a girlfriend once. Believe it or not, I'm pretty popular with girls who don't know who I am." He chuckled. "But no... I've only gained a few friends recently. Why?" Pere questioned Shay. Shay shrugs "I dont know" he giggled "I like asking useless questions its so pointless its amusing oh gosh I am talking nonsense again" he shook is head realising he dot slashed by sand on his arms while he was fighting with Pere and he reopened the wounds doing a bad move making them bleed and his blood start swirling aroung Shay again "This thing is creeping me out"
To be honest, it can be annoying when people do that..." He sighed, reaching out and touching some of the blood. "It certainly is odd... Maybe you could use it in battle." He shrugged, drawing his hand back away from the blood. "You'd just have to learn how to control it." Shay nodded "wouldnt be a bad idea....." Shay was looking at the blood "Damn I am getting dizzy" to much blood out "oh holly" eyes switching normal and sharingan non-stop he rubs is eyes "Damn Obito know we are here"
"Yeah. I know he does." He sighed. "You might want to rest. It's not like you can run any way." He stopped, leaping and landing on a branch directly above him. He sat down and leaned against the trunk of the tree. Pere watched quietly, finding it interesting. He'd always fought with Obito, and had learned how to injure him, but he'd never been able to kill him, no matter how hard he tried. And he usually came out of the fight with a broken arm or leg for his efforts. This time, he'd broken Obito's ribs with a well timed punch to his chest, and had only suffered minor injuries. He'd considered himself lucky. "Your father seemed sorry there at the end... I know he has a temper, but I do think he cares about you as well, Shay. And maybe Nix knows that, which is why he wanted to go see Obito..." He sighed. "Honestly, if he wasn't bent on collecting all of the tailed beasts, he might be likable..." Pere leaned his head back, closing his eyes. "The blood reflected your thoughts..." He sighed, falling quiet. He stayed completely silent, almost looking like he was asleep. The only way you could know he wasn't, is that he can't sleep without grave consequences. he was simply thinking, like he normally did. Normally, his thoughts were all he had. He opened his eyes, glancing at the blood before looking at Shay. He sighed, pushing himself off of the branch and landing quietly. He walked over to the boy, looking at his wounds. After sitting down next to him, Pere washed out the wounds and wrapped them tightly with clean white gauze. He was practiced in this, as he was often injured himself. "Maybe Obito does have a heart... Though why he would leave his child in the village he hates most, I have no idea..." He sighed, getting up and moving away from the boy. Sitting down a few feet away, Pere crossed his legs and closed his eyes, beginning to meditate. This was really the only way he could rest. Pere stayed motionless, going over his memories and thoughts as he sat there. He failed to notice Shay had woken up. Which meant he'd also failed to notice Nix had taken over. Right now was probably one of the only times he could be easily injured, and while he trusted Shay not to attack him, he did not trust Nix. Normally, he would have put up a barrier to alert him, but seeing as how Shay had been unconscious at the time he started to meditate, he hadn't done that. Pere heard him clearly, and sighed before opening his eyes. "What's so interesting?" He didn't have any readable emotion on his face at all. His eyes were blank, and somewhat duller than normal, as if he was still thinking. In truth, he was. "I fainted didnt I thats weird,I normally never pass out I guess I didnt sleep enough in the last few days......" he sighed and stood up looking at Pere one eye onix like a normal Uchiha and the other green showing that both Nix and Shay are in control and they are in a kind of peace relation right now "I wonder how I am suposed to create genjutsus with my eyes....."
He shrugged. "I wouldn't know... I have never been able to use genjutsu. I don't intend to try to learn either. I already go through enough with the 'training' I have now." He sighed. "Ask someone gifted with the ability... I still don't recommend going to see your father though. Speaking of that... Does Sitara know?" "Of course he doesnt and why should I go see the person I am the most angry and hatefull its a little dump" Nix replied "No it isnt but I am sure I am better to shut up" Shay replied "Of course shut up it would please everyone" Shay seemed calm has is other eye turned green to show he had complete control at the momment "almost no one know Obito is my dad because I prefer to not say a word about it"
Sitara had left the land of lightining and returned to kirigakure.He was full of sake and was trying to relax we had had finally got home so he completely let his gaurd down but was still aware of everything.After a few hours he hoped shay would return as he simply sat at the end of his bed and cleaned his scythe with a rag and some water.He wiped his scythe to the point it would shine and he could see his reflection. 'that idiot,its timei tracked him' he thought to himself as he got up a slipped into his sandals,the putting his coat.He picked up his scythe and adjusted it to his back before leaving his house,closing the door behind him. "shay shay shay,you have the easiest trail to find i swear,skipping out on training wont make this better for you" he quietly said to himself as he reached into his back pouch pulling out his scroll.He layed the scroll down on the ground open then placing one foot on it.He formed a handsigh as a small puddle of water would come from the scroll around his feet. "you made it to easy,ill simply track you by your chakra" he said while sinking into the puddle of water.Only an hour later A whirl of water would start to form behind shay spinning at a fast speed coming to a stop,Until sitara was completely visible. "He smirked as he looked at shay at pere then closing his eyes as he would be completely undetected by shay until he spoke. "well look who i found" he said laughing to himself. Sitara took a few steps slowly towards shay before saying "you baka,you know how disappointed i am in you?..you disobeyed my instructions,skipped training,and could have came in contact with obito at anytime" he said rather cold in his tone.His eyes glaring into shays as he would say "do you have any idea how much trouble your in shay? because to me it doesnt seem like your life is important" he scolded again harshly beore coming face to face with shay looking him in his sharigan eyes. "shay....im going to treat you to lunch and icecream" he said his tone getting soft and light,then smiling gently as the sun shined fown on them. "curiousity is natural child,its cool" he said has it seemed like he was going to hit shay at first but instead he offered lunch and icecream. "youll make up for this in your training im sure".